Call Liquor Package Includes: Svedka Vodka + Flavors, Malfy Gin, Early Times & Canadian Club Whiskey, Cruzan & Malibu Rum, Southern Comfort Whiskey, Sauza Blue Tequila, Bud Light Bottles & Draft, Miller Lite Bottles, House Red & White Wine. $35 for 2 hours or $40 for 3 hours. Package must end by 12am. Premium Liquor Package Includes: all call brands, plus Effen + Flavors , Ketel One Vodka, Bacardi Rum, Captain Morgan Spiced Rum, Jameson Whiskey, Don Julio Silver Tequila, Domestic & Imported Beers by the bottle & on tap, Select Wines by the Glass. $45 for 2 hours or $50 for 3 hours. Package must end by 12am. Top Shelf Liquor Package Includes: all call + premium brands, plus Bombay Sapphire Gin, Crown Royal Whiskey, Grey Goose + Flavors, Makers Mark Whiskey, Johnnie Walker Black, Don Julio Anejo Tequila, Craft & Specialty Beers by the bottle & on tap, Select Wines & Sparkling by the glass. $55 for 2 hours or $60 for 3 hours. Package must end by 12am. Please click the "Book Now" button fill out the info and we will send you info on table reservations and then our Party Specialist will make your reservation free of charge! 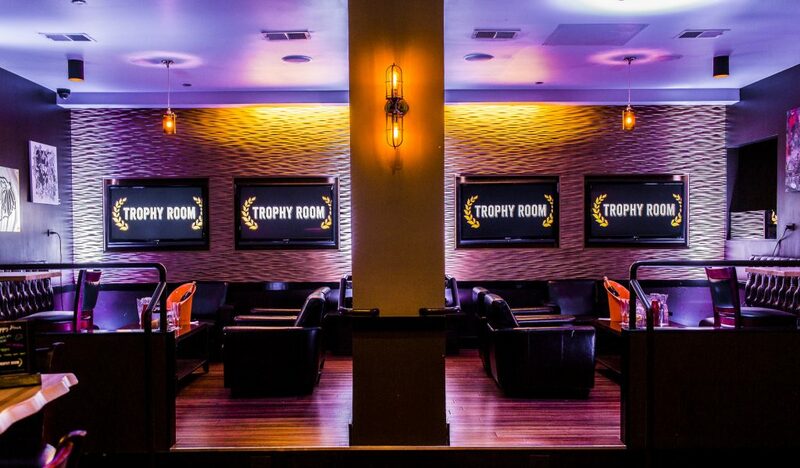 Trophy Room is THE place to watch the games! 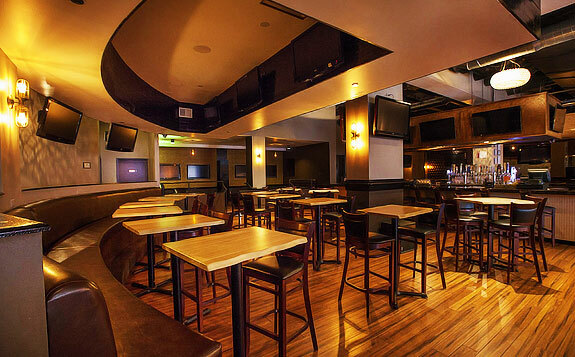 With tons of TV's, an amazing food menu (the pizzas are not to be missed) and a deep beer list, your game watch is sure to be a hit.